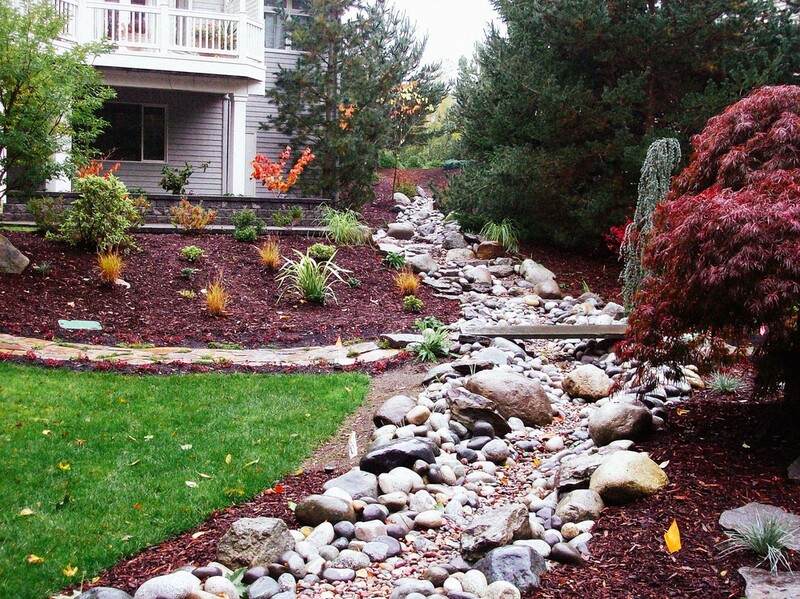 We provide custom design & installation that can make old, tired landscapes into rejuvenated, healthy, & creative outdoor spaces. Design & installation services vary greatly and include patios, walkways, boulder placement, retaining walls, soil & site preparation, lawn installation, sprinkler systems, drainage solutions, planting services, water features, flagstone patios, fences and pergolas. Our construction departments are full scale construction teams that can make any job seem easy. The teams are built around the best foremen and right hands in the industry and are experts in all phases of landscape construction.